The times were not conducive for a lesbian love affair. 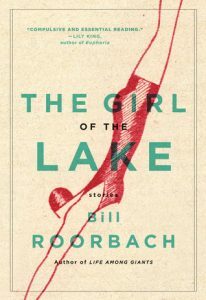 In this fictional version of Eleanor Roosevelt’s lifelong love affair with journalist Lorena Hickok, President Roosevelt is “in on the joke” and takes advantage with his blatant womanizing. Told from the perspective of Hickok, it’s a softly rendered portrait of Eleanor, all the loveliness of her and the imperfections softened. 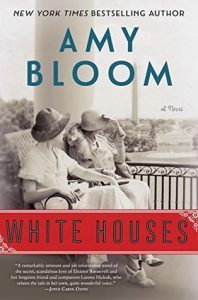 Readers also get a peek into Bloom’s perspective of the Roosevelt clan, with snarky remarks on cousins from Hickok, Eleanor, and FDR. Throughout the story, Hickok announces character flaws and strengths of the powerful people surrounding her, ever aware of her precarious position. Readers follow her career choices, through various relationships and friendships, and her ins and outs with Eleanor, who always chooses her as an add-on to her public, political life, even after her husband’s death. This is a nicely written story of a highly speculative affair of a First Lady, politically powerful for her time, representing her with dignity and compassion, while displaying her passions, political and personal. With satirical leanings, it’s an interesting place to start an exploration of Eleanor Roosevelt, as well as learning about her “other half,” Lorena Hickok. Telling the story from the lesser known partner brilliantly brings her to life. It’s a little history lesson in a big love story.